This module is designed for people interested in the exploration and production of oil and gas who do not have a subsurface technical background. It provides an introduction to geology and geophysics for non-geoscientists, with an emphasis on the latest interpretation techniques, showing oilfield examples. The course starts with petroleum geology, specifically elements of the petroleum system and properties of rocks impacting reservoir quality. 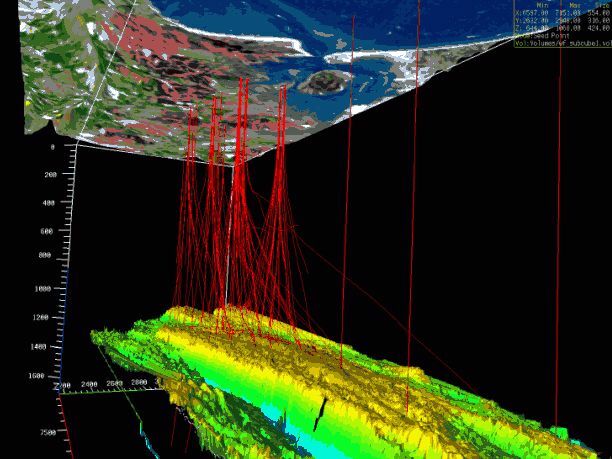 It explores the subsurface techniques used in prospect and field evaluation with examples from some of the common workstation analysis tools (e.g. Kingdom, Petrel). The course outlines the process flow across the value chain from exploration through to production. This course focuses on explaining geoscience and subsurface techniques, with examples from case studies to demonstrate the methods and to illustrate technical risk and uncertainty in asset and field evaluation. You will leave with an understanding of the disciplines of geology and geophysics applied to investigating the origin, distribution and properties of petroleum and petroleum-bearing rocks. Worked examples in asset and field evaluation will be explored to demonstrate the strengths and limitations of a range of analytical techniques and their impact on risk and uncertainty. Dr Helen Turnell is a Geoscientist working as an independent consultant for a variety of companies and also lectures (part-time) at London South Bank University, Petroleum Engineering. Previously she worked 25 years for BP as a geophysicist covering technology applications, licence management working in many different countries and finally moved to Corporate roles addressing Group process improvement. Helen holds a BSc from Edinburgh University and a Ph D from Leeds University (1982). Helen began her professional career as a Research Fellow at Cardiff University using paleomagnetism in plate tectonics. Can't make this date? We're running the course again on the 2nd of October!